Perfect Day Publishing; 218 p.
It opens innocuously, with a slice-of-life account of working at a grocery store’s cheese counter. 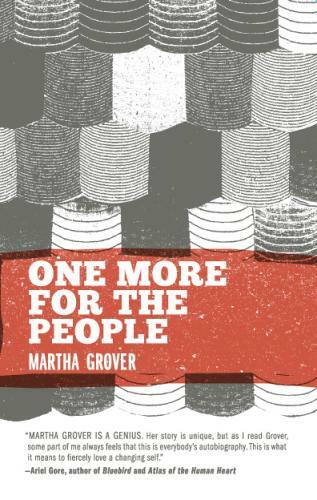 This collection of work that originally appeared in Martha Grover’s zine Somnambulist seems to take shape from there: smart observations of unlikely avenues of life and work. And then its author is diagnosed with Cushing’s Syndrome, and the work contained herein takes a stark turn: senses of emotional, physical, and economic panic emerge, and Grover’s accounts of her family take on a new urgency. An early section is given over to Grover’s lengthy interview with her grandfather, from which comes a story of low-key crime and, ultimately, redemption. (Its setting — the Oregon of a few decades ago — calls to mind Don Carpenter’s excellent novel Hard Rain Falling.) Different facets of her family life emerge from this: occasionally manic interactions with parents and siblings from her childhood; a span later in life when she returns to her parents’ house to live, and begins chronicling the minutes of weekly family meetings. Beyond the smart observations of daily life — and there are several, from the aforementioned account of Grover’s time selling cheese to an almost absurdist account of public transportation in San Francisco — comes a more unnerving narrative. Grover’s account of life with a chronic condition is illuminating, from nervewracking moments of medical crisis to certain occasions that arise specifically from this time and place. If you’ve ever wondered how one transports urine through airport security checkpoints, this collection will provide that information. (A doctor’s note helps.) If this collection were only in the vein of its first part, it would still make for an excellent collection of low-key scenes from urban life. With its expanded focus, though, Grover has made something more essential: a wrenching, frustrating, moving account of one very particular life — and its decidedly universal relevance.